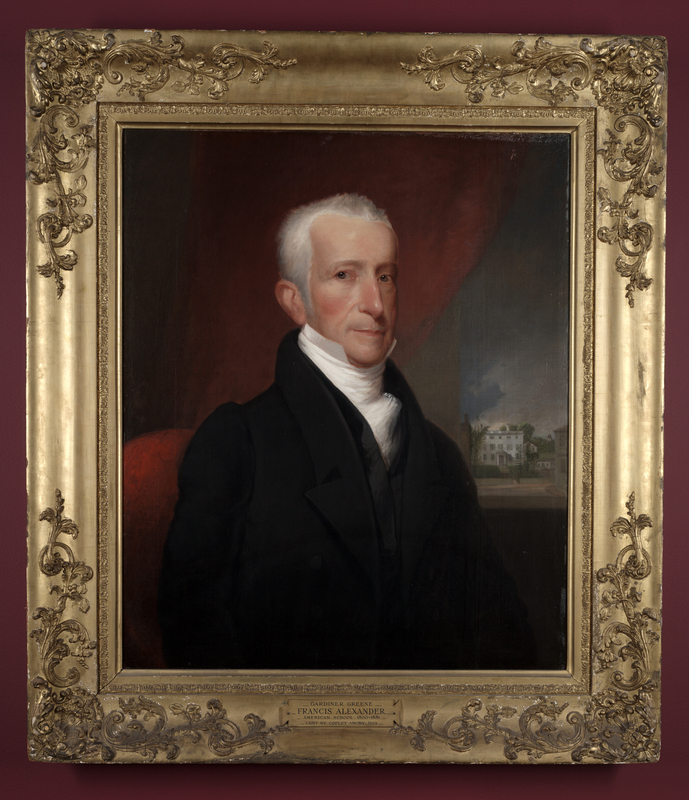 Trained as both a painter and lithographer, Francis Alexander settled in Boston in the mid-1820s where his talents were encouraged by Gilbert Stuart. After Stuart’s death in 1828, Alexander became one of Boston’s most sought-after portraitists, sharing the city’s steady supply of portrait commissions with Chester Harding. Alexander exhibited at the Athenæum’s first annual exhibition in 1827 and continued with some regularity until his move to Italy in 1853. Boston merchant Gardiner Greene (1753–1832) made his initial fortune in the Demerara sugar plantations in South America and, after 1800, augmented his wealth through investment and banking in his native city. With his wife, Elizabeth Clarke Copley (daughter of the painter John Singleton Copley), Greene turned a sizable estate he purchased in downtown Boston into the city’s finest mansion and garden.